The Yankees scored four times in the top of the first, David Price left with tingling in his left hand and just like that the nine-game winning streak came to an end courtesy of a 10-7 Red Sox loss at Fenway Park Wednesday night. Oh...and there was a bench-clearing brawl. The rivalry would appear to be back. Following Tuesday's 14-1 beating, the Yankees dropped a four-spot in the first on a two-RBI triple by Giancarlo Stanton (who had three hits) and a Gary Sanchez two-run homer, the first of two home runs by the New York catcher. 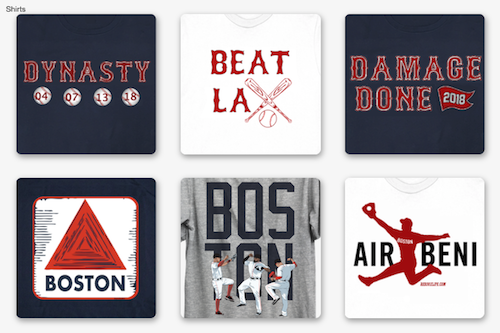 Hanley Ramirez went deep in the bottom of the first, and J.D. Martinez hit a grand slam which was part of a five-run fifth inning. 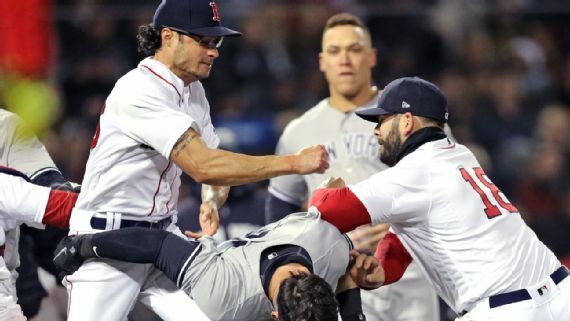 Tempers flared twice in the game - once on a hard slide by Tyler Austin into Brock Holt in the top of the third inning. Austin was drilled in the top of the seventh by reliever Joe Kelly which resulted in the benches clearing and four ejections. Kelly and Austin were both ejected, as were Yankees reliever Tommy Kahnle and third base coach Phil Nevin. 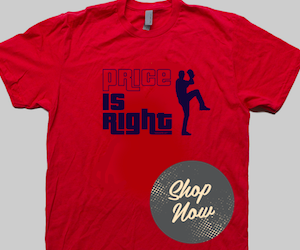 Price was pulled after the first inning after complaining of a lack of feeling in his pitching hand. After the game he said he expects to play catch on Thursday and prepare for his next start. Jackie Bradley Jr. had three hits in the loss.